A little roundup of what I’m loving lately. 1. Clarins Extra Comfort Foundation. Still, in my opinion, the best foundation of all time (said in the tone of Kanye West). I won’t go on too much, you can read my full review here – but it is amazing. 2. Bobbi Brown Shimmerbrick in Pink Quartz. A new purchase, I have recently made a return to all things shimmery and glittery and fancied some shimmery action from Bobbi with a little bit of bronzing thrown in for good measure. As pretty much everyone know, Shimmerbricks are beautiful; pigmented, flattering and of course, shimmertastic. 3. Chanel Quad in Seduction. This is from the Jeux De Regards collection which came out earlier this year (full review here). It’s a lovely palette with gorgeous wearable shades and I happily rediscovered it a couple of weeks ago. 4. Clarins Instant Concealer. Released the same time as Clarins Extra Comfort Foundation, I’m still reaching for this one on a daily basis too. It’s quite transformational; brightening with a dewy finish and it’s one of those magical formulas that work seamlessly with your natural skin tone. Full review here. 5. Bobbi Brown Long-Wear Cream Shadow Stick in Golden Bronze. My new favourite eye base and another recent purchase. This does not move once applied, and is as beautiful on its own as it is with a little bit of shadow over it. I’m all about super quick makeup these days and this is a quick makeup standout. 5. Clarins Be Long Mascara (It’s called Instant Definition back west). Obviously Clarins and I are having a bit of a moment. This is their newest mascara release and it’s absolutely outstanding. A small, grabby brush which coats every single lash and massively lengthens and fattens without clumping? Yes, I’ll have that thank you. And there we have it. 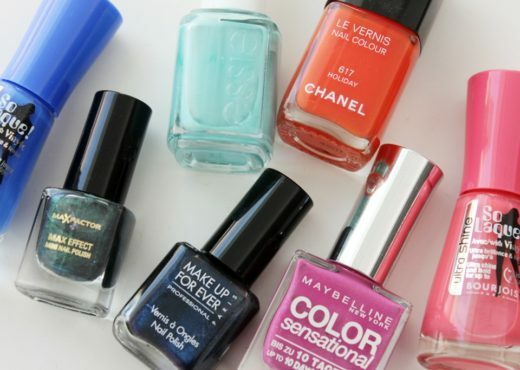 Are you using any of these beauties at the moment? To the comments! 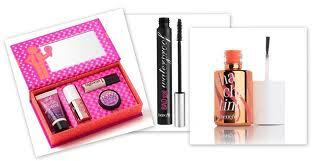 Benefit Goodies Giveaway – Update & Winner! Love the post, Simone! 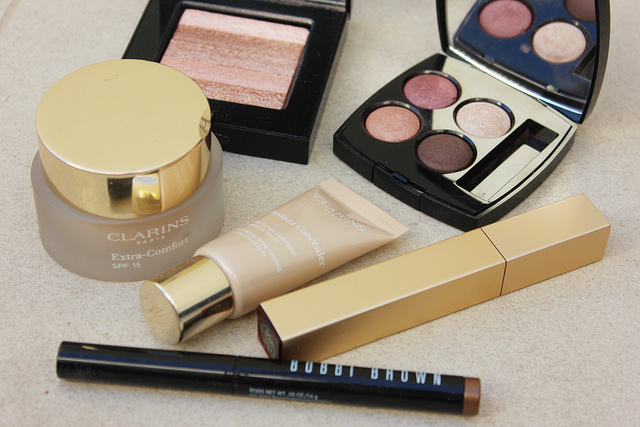 I’m obsessed with Clarins skincare products lately and will be sure to try out the foundation. It’s fab Sarah, the only thing that lets it down is the pot packaging. It’s a bit finnicky trying to get it out!